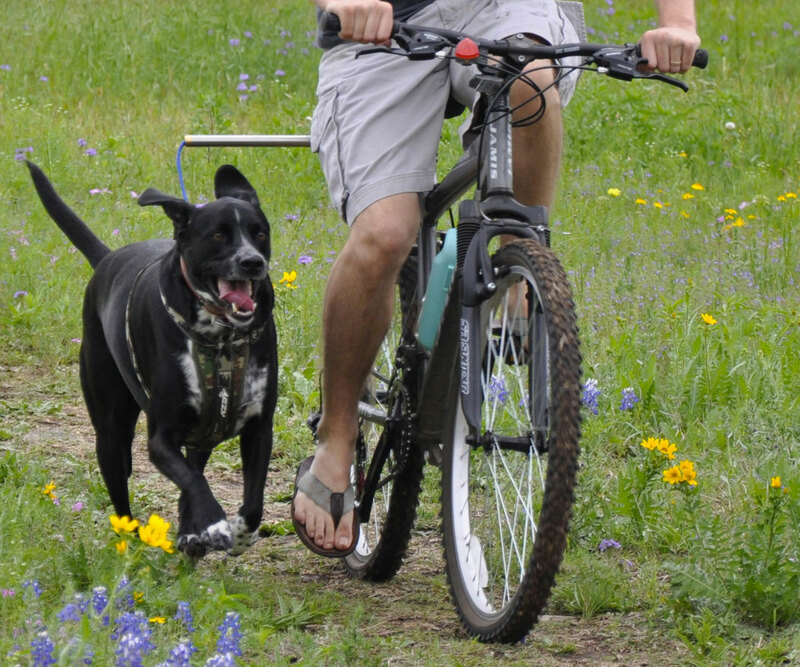 Better have a good long talk with your dog before hooking him up to a Walky Dog hands-free bicycle leash. Lay some ground rules about tugging horizontally and keeping his instinct to tear off at full horsepower after a squirrel in check. Make sure he understands how much you're trusting him not to drag you off course, or catapult you off your bike into an oncoming SUV full of 4 kids and a mom splitting her attention between handing out their snacks and staring at Google Maps on her cell phone. And remind yourself that it should probably be called the Walky Dog for Really, Really Well-Trained Dogs. 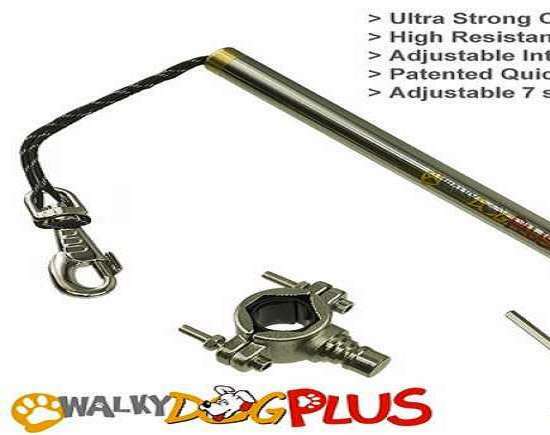 If you've got all that covered, this carbon steel rod with a 550 paracord leash extension is a terrific way for you and your dog to enjoy a little fresh air and exercise together. The Walky Dog's solid, rust-resistant wand keeps your dog a safe lateral distance from your bike during movement, while the internal soft leash gives him enough leeway and mobility to trot comfortably, without getting tangled up in front of or behind you. The paracord portion is also adjustable by up to 6-1/2". 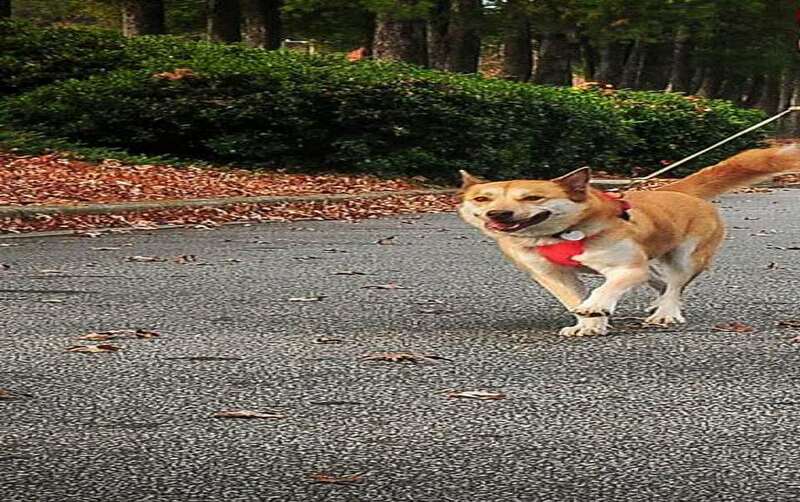 In addition, the Walky Dog has an internal shock-absorbing system, which they say accommodates Old Yeller's sudden movements without pulling you off your bike. 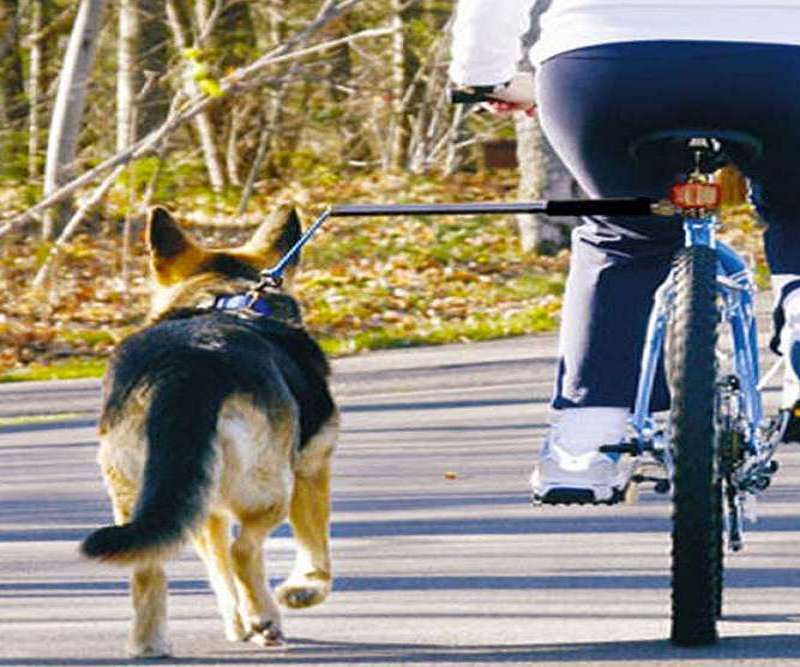 There is also a Quick Release feature that facilitates an immediate disconnection between two wheels and four legs.